The artwork below goes back as early as my MFA program at the San Francisco Art Institute 9 years ago (see Hamlet, Trails, Sound & Polar). From 2008 to 13 I was interested in urban studies and mankind's encroachment on nature (see Flock (visible city) & Stampede). My recent work, the dioramas, are from the current period where I am working with Scientists at the Field Museum to build accurate scenes of a few villages in neolithic China, as well as a full-sized diorama on hyenas. It involves research and is truly interdisciplinary. Oil on board backdrop, mixed media foreground. Hemudu Diorama detail of a Neolithic Chinese village. Every detail was worked on in consultation with Field Museum scientists, truly interdisciplinary. Notice the woman cooking rice, a woman weaving, man gathering fruit. 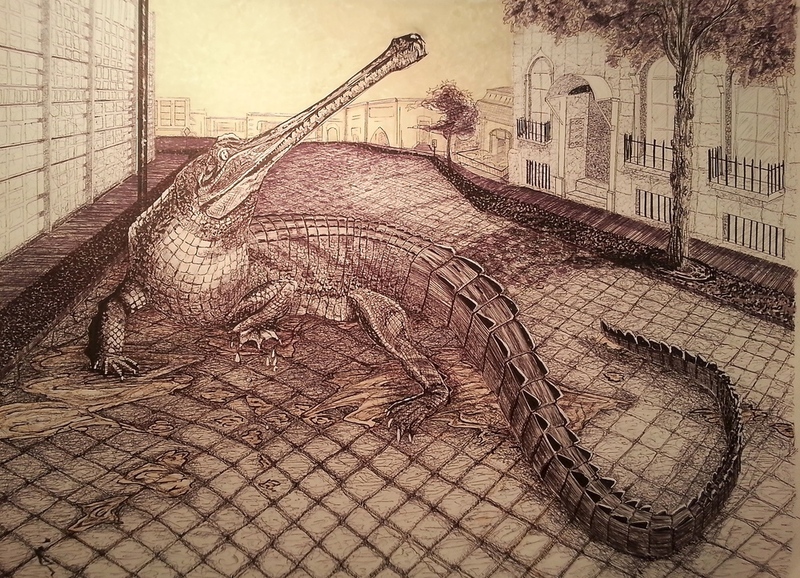 Details were added based on remains found, with artistic additions based on informed guess work. 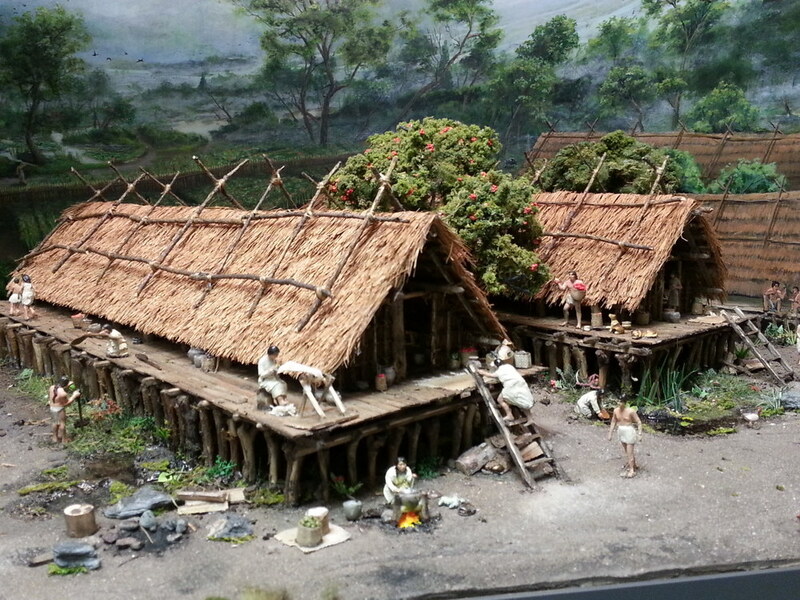 Detail of the Yangshao diorama of a Neolithic Chinese village. I worked very closely with anthropologist and archeologist to make the most accurate diorama on this culture that we can, based on what we know. Notice the group of women making pottery, the men skinning a deer, men building a new house, and the use of kilns to fire clay. I am currently at work building a life-sized diorama on spotted hyenas for the Field Museum of Natural History in Chicago. I am the Muralist. With the replications shop help I am making an exact replica of a very certain ecosystem in Somalia- from its plant life, soil, climate and geology. Taxidermic hyenas will be placed front stage.